- U.K. consumers shrugged off uncertainty over Brexit in February, driving retail sales higher by a stronger-than-expected 0.4%. Sales had risen 1% in January and economists polled by had forecast a reading of -0.4% for the month. 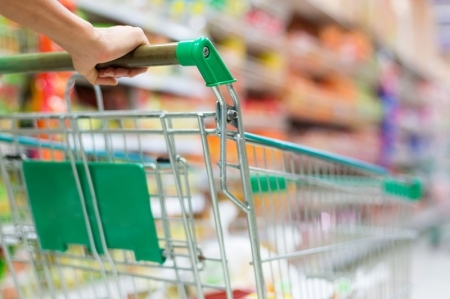 A fall in food sales was offset by growth in other sectors, the ONS said. Food stores had the strongest decline since December 2016, falling -1.5% after an increase of 0.9% in January. Analysts at Capital Economics in London said there was "little sign" of a Brexit effect on retail sales. "The monthly 0.4% increase means that even if there is a large 1% (monthly) fall in March, retail sales will contribute more to GDP in (the first quarter) than in the final quarter of last year," Capital said via its Twitter account. The strong data come ahead of the Bank of England’s monetary policy decisions later in the day, where it is expected to leave interest rates unchanged against a backdrop of rising uncertainty over Brexit. Prime Minister Theresa May will ask for a three-month extension of the U.K.’s plans to leave the European Union at today's EU summit but whether or not the EU will grant an extension remains to be seen. Inflation in the U.K. rose in February but still remains below the BoE’s inflation target. However, the labor market still appears strong. U.K. jobs data released earlier this week showed job creation at its strongest since 2015 in January, while wages rose at their fastest pace since the financial crisis. The retail sales data appear to be consistent with those from the labor market, but both sets are at odds with anecdotal reports of declining confidence as Brexit approaches.